This pin inspired my closet door makeover. 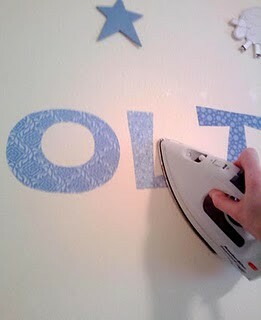 I've used fusible web before, but I never thought to use it on walls. That got me thinking about covering up some ugly closet doors. 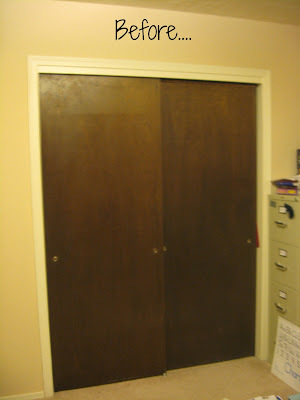 This is what my closet doors looked like before Pinterest. Ugly. I was looking for a heavy weight fabric and I found this on clearance at Hobby Lobby. I really surprised myself, because this pattern and the colors are not something I would normally even consider. I ironed on the fusible web to the back of the fabric, gave it a few minutes to cool and set, then peeled the paper backing off. 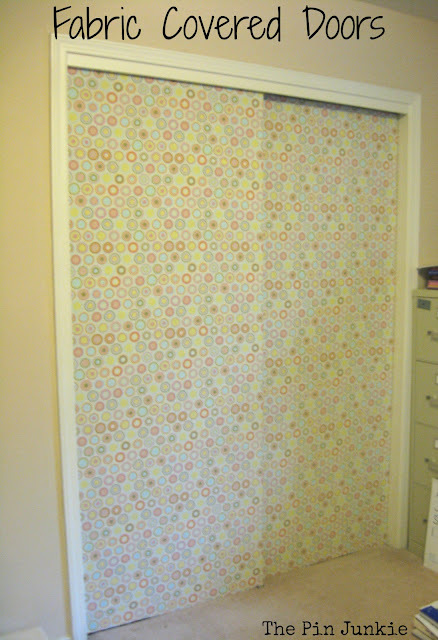 Then I ironed the fabric onto the door. I wasn't expecting it to adhere to the wooden closet door, but it did. After doing one door, I ran out of fusible web. For doing small pieces of fabric as shown in the inspiration pin, fusible web would be an affordable option. I went back to the craft store looking for an alternative to fusible web and I found this spray can of Krylon Easy-Tack adhesive. For just under $8.00 a can, it's much cheaper than buying yards of fusible web. I really wasn't sure it would work, but it did. I just sprayed the second closet door and waited a few minutes according to the directions for it to set and get tacky. I also sprayed the back of the fabric. I positioned the fabric on the door and smoothed it on working out any wrinkles. I didn't even remove the door. Just make sure you put a tarp or old sheet or something on the floor to protect the surrounding areas and your carpet from getting sticky. Here's the before and after. I'm so happy with the way it turned out. I should be able to remove the fabric later if I want to change to a different design. I like it so much though, I can't imagine wanting to change it! 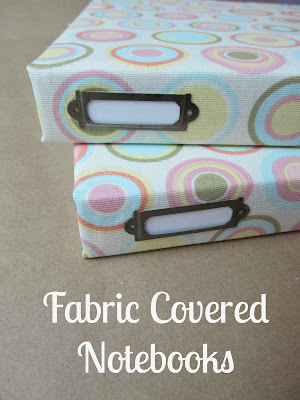 If you decide to try this project for yourself, use the fusible web for small decorative pieces and use the spray adhesive for larger pieces of fabric. With the leftover material, I was able to make some really nice matching fabric covered notebooks. This is really a cute idea. I have spray adhesive all over my floor in my home that my hubby is starting to give me dirty looks. Ha-ha! Me too. I got some on the carpet when I was doing this project. I should have taken the doors off and done this project outside or in the garage. At the very least I should have laid something down to protect the carpet! Very cool... will the adhesive ruin the closet door? I rent my home but HATE the boring brown closet doors. I wouldn't want to ruin them because they aren't mine. Any suggestions? 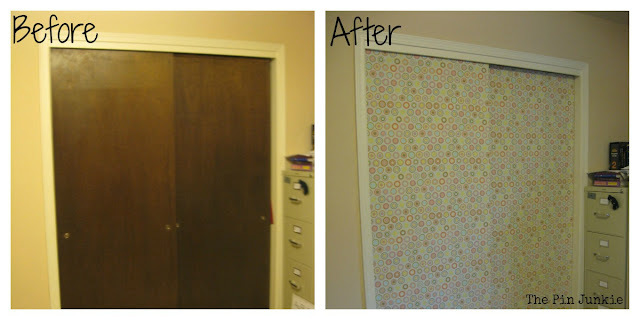 I am planning to this same thing on my ugly sliding closet doors, but I was thinking of wrapping the fabric around the doors and securing it with staple. Did you consider doing this? I'm kinda hesitant to use adhesives, but I love the idea of wrapping fabric around the doors. Thinking of renting an apartment but worried I'll do damage to the wood. Any suggestions?